Spanish explorer Alonso Alvarez de Pineda was on a mapping mission for the King of Spain when he discovered the Brazos Santiago Pass. 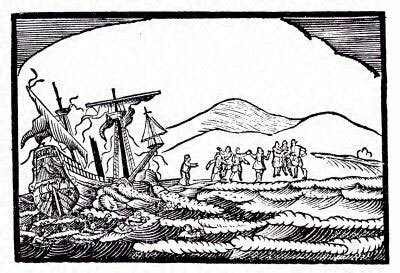 He described treacherous sandbars and a shoreline littered with spars and rigging from ships that had wrecked many years before. Three ships, part of a treasure fleet outbound for Spain wrecked along the shores of Padre Island. Over three hundred people survived only to be hunted down and killed by local Indians while trying to walk southward for safety. Only two survived to tell the story. Jose Escandon led an expedition of 600 men to explore the Rio Grande Valley. He reported a few scattered huts and the occasional shell midden as the only tangible evidence of man's presence on the coast. Farther inland, he came upon many different tribes of Indians. Escandon's report led to the successful colonization of the Lower Rio Grande Valley in 1749. 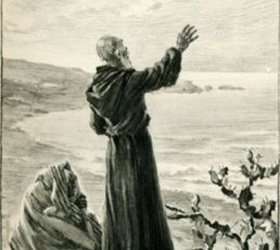 Padre Nicholas Balli, for whom the Island gets its name, was the first European to bring families to the Island. Twenty-six miles north of the Island's southern tip, he and his nephew Juan, founded El Rancho Santa Cruz de Buena Vista (later known as the Lost City), where he kept cattle, horses and mules. The actual ranch and outbuildings were little more than thatched huts known as jacals. Because of its natural fences of water, the Island was a perfect spot for raising livestock. In 1811, Padre Balli stated in his will that he owned 1,000 head of cattle. He also built the first church on the Island for the conversion of the Karankawa Indians and for the benefit of the settlers. Ironically, Balli never lived on the Island that bears his name today. He left the day to day operations of the ranch to his nephew Juan, who also held title to a sizable amount of the Island, while he (the Padre) spent most of his time on the mainland ministering to the spiritual and material needs of his people. 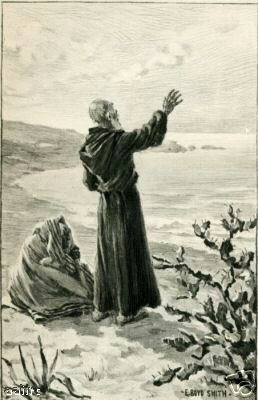 Padre Balli died on April 16, 1829, and was buried near Matamoros. A statue of Padre Balli stands sentinel at the eastern foot of the Queen Isabella Causeway. Juan operated the ranch until the storm of 1844 after which he moved to the mainland. The ranch was abandoned, but only a few short years would pass before its new occupants arrived on the scene. Captain Ben McCulloch leads a company of Texas Rangers down the Padre's Island (as it was now called) from Corpus Christi at the onset of the Mexican War. The island is uninhabited save by one old man," McCulloch reported, "who follows the business of a wrecker, and lives not far from Point Isabel, in a wild-looking place, which he calls, after himself, Tilley's Camp. Uncle Tilley lives there, and employs himself in gathering the wrecks of cargoes with which the beach is strewn, seeming perfectly happy in his loneliness, the undisputed lord of this desert isle." 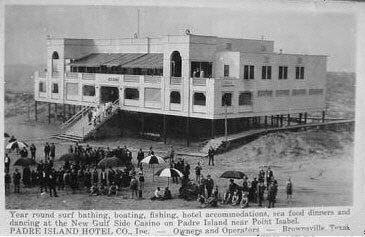 Tilley became famous throughout the nation as, the "Hermit of Padre Island." When he died, shortly afterward, his obituary was published in hundreds of eastern newspapers. 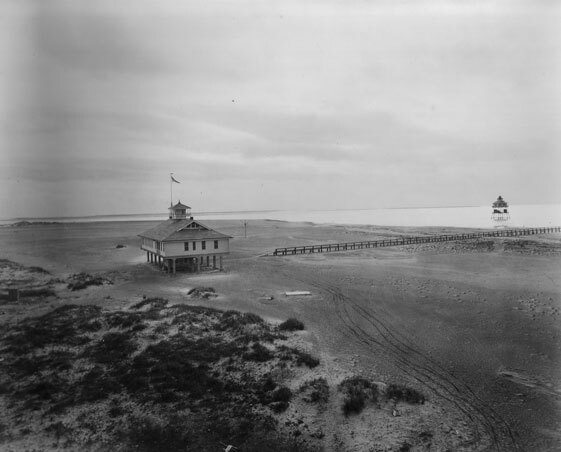 An article in the issue if Sailor's Magazine describes the Padre Island Beacon Light which was located on the southern extremity of Padre Island, and north of the entrance to the Brazos Santiago. "Constructed of wood, placed on wheels and is easily distinguished from other objects by day. 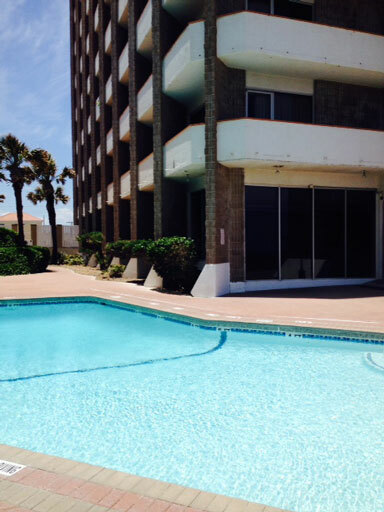 The keeper's house is about a quarter of a mile from it." That light was destroyed by the rebels during the Civil War. 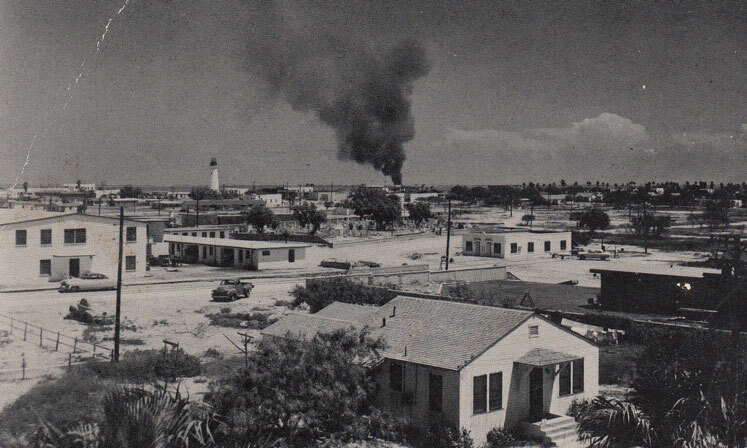 Padre Island was home to several more lights with the last being destroyed by fire in the late 1940s. 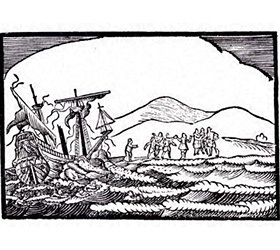 John Singer's lost treasure has been the subject of numerous stories; the stuff from which legends are born. During the final days of the Mexican War, John and Johanna Singer along with several sons, had been beating down the coast in their schooner, the Alice Sadell, when a severe storm drove their craft aground near the center of the Island. It was there the family discovered the remains of Santa Cruz, the old ranch owned by Padre Balli himself. The Singer's bought the land from Juan Balli in 1851 paying $2500 for a like amount of acres that included the headquarters of the old ranch. Wild cattle, left over from the Padre's ranch, were easy to catch and by the time Lincoln was elected, the Singer's herd numbered over 1500. But, this wasn't the only source of income for the newcomers. 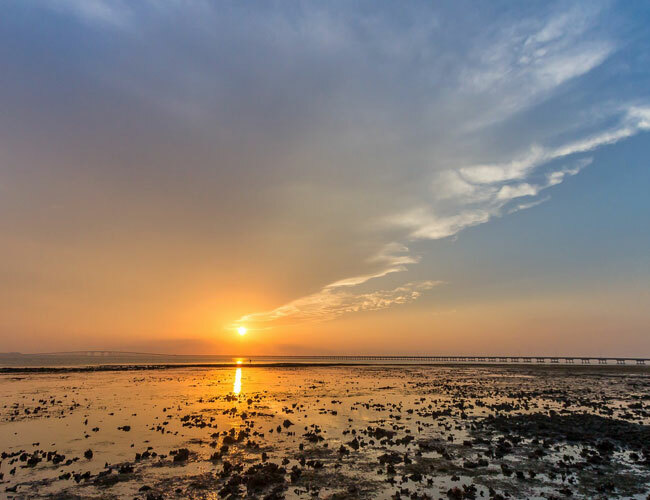 It was rumored that John and his boys, who were by now avid beachcombers, had accumulated somewhere in the neighborhood of $60,000 worth of jewels, Spanish coins and gold bullion.. When the Civil War broke out, John decided to move his family to Flour Bluff near Corpus Christi. But before leaving, figuring that his money would be safer buried on the Island, John and the boys filled several stone jars and buried them at a site where they believed they would easily be found in the future. After the War, the Singer's returned for their treasure only to find that another great storm, much like the one that had wrecked them twenty years earlier had totally inundated the Island, destroying the ranch headquarters and washing away all the markers John had planted. Though he and his sons were noted beachcombers, the treasure would remain lost. 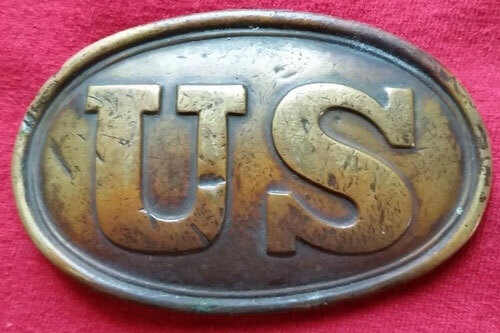 American Civil War fought. Though most of the battles of that war were fought in far-away places, the depot at Brazos Santiago was home to the men who sallied forth one rainy May night in 1865 in an effort to capture some Rebel positions westward towards Brownsville. The Confederates carried the day with several hundred Union troopers captured 120 wounded and one killed outright. Unfortunately for the victorious rebels, the war had actually ended five weeks prior. The Battle of Palmetto Ranch, as it became known, was the last official battle of the Civil War. To visit the battle site drive west from Port Isabel on State Highway 48. Turn south on Fm 511 at the Port of Brownsville and drive south until the road intersects with State Highway 4. Turn east and. the marker can be found a few miles down the road towards Boca Chica Beach. Severe drought forces 21 year old Patrick Dunn and his brother Lawrence find a place to move their cattle. The brothers and their mother were partners in the cattle business. When they moved their cattle to the island, on July 7, 1879, Dunn called it the greatest cattle ranch in the world. He bought out his brother and mother and would later call his ranch "El Rancho de Don Patricio." His was an empire of sand, cattle and 112 miles of Gulf beaches the color of piecrust. 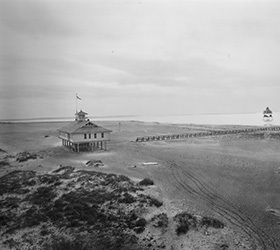 Over the next 50 years, Dunn developed the island into a unique ranch, with white-faced cattle wading in the surf, with corrals made of driftwood. He patrolled his 135,000 acre domain in a spring buggy pulled by two white mules. 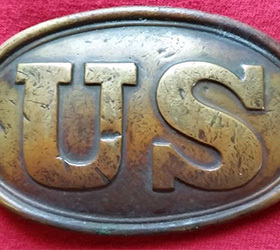 Later in life Dunn gave himself the title of duke. He received a letter from some fellow in England whose name was followed by a list of titles and initials for one honor or another. Dunn in reply stuck D.P.I. after his name. Edward Kleberg, his lawyer, asked him what the letters stood for. 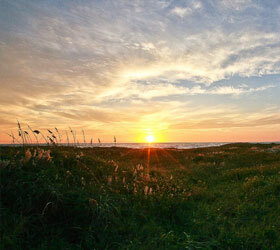 "Duke of Padre Island." Dunn replied. It seemed to fit. 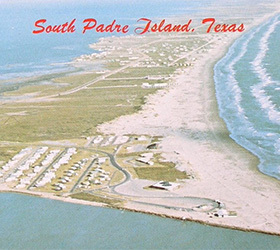 The southern part of Padre, now known as "Tarpon Beach", is home to a hotel and a cluster of fishing camps. 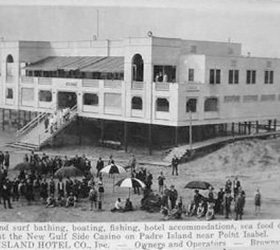 Visitors arrive by ferry boat and were offloaded near where Children's Beach is located today in Isla Blanca Park. 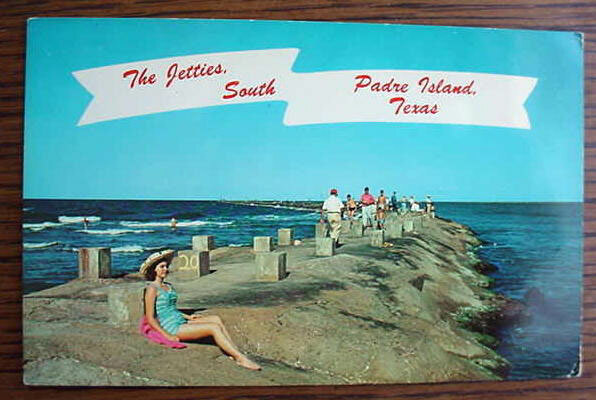 From there it was a long walk across a wooden boardwalk that led to the shores of Padre Island. One had to be at the landing to catch the return ferry at dusk or risk having to spend the night on the Island. Coast Guard Station built. The oldest standing building on the Island has survived hurricanes and war. Now used as an extension of University of Brownsville. 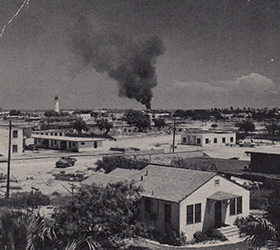 Gilbert Kerlin, a young lawyer straight out of Harvard traveled to Brownsville at the request of his uncle, who suspected he might find oil beneath the Padre Island land. 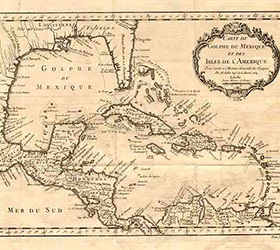 Kerlin was instructed to locate the Balli heirs and purchase their interests in the island, which he did. Decades later the family alleged that when Kerlin bought the land he had assured the heirs they would receive some compensation if he profited off the land's resources. This was not the case however and legal proceedings were initiated against Kerlin in 1993. After a two-month trial, the jury found in favor of the Ballis in 2005. Kerlin, then 90 years old, was ordered to pay the family at least $11 million. But in September 2008, the Texas Supreme Court ruled that because of statutes of limitation, the Balli claim was dead on arrival. Over twenty U-Boats operating in the Gulf of Mexico destroy or heavily damage upwards of 160 ships. 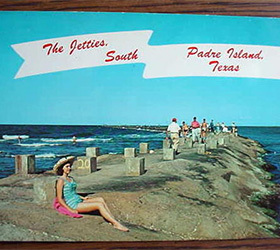 Flotsam and dead bodies washed ashore on Padre Island and the citizens of Port Isabel reported hearing loud explosions out in the Gulf and bright flashes of light during the night. Oftentimes smoke could be seen on the horizon, a clear indication of a ship in trouble. Island is quarantined for duration of war. 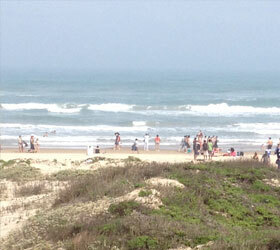 Special patrols prevent the landing of saboteurs and spies on deserted beaches of Padre Island. 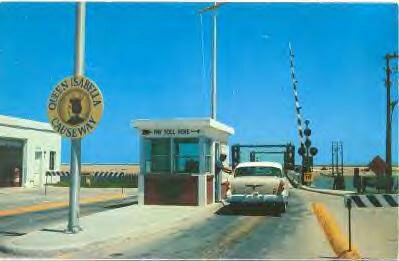 The first Queen Isabella Causeway was a two-lane drawbridge with a $1.00 toll. 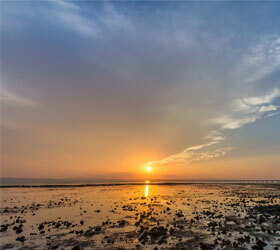 It was replaced by a new causeway in 1974. 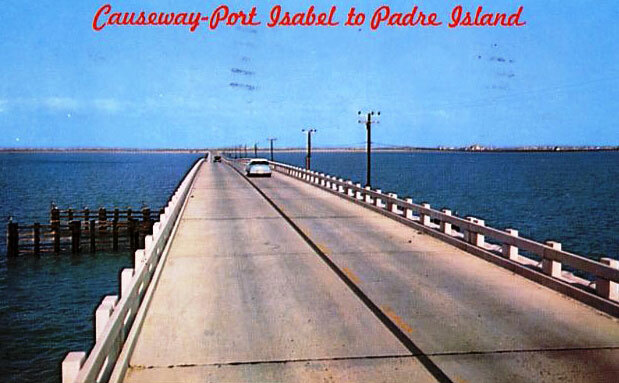 Part of the original causeway is still used as a fishing pier on the South Padre Island side. 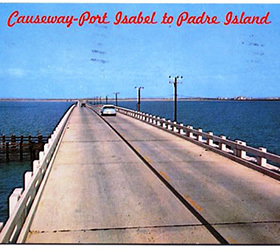 The remaining part of the original causeway on Port Isabel's side is closed. 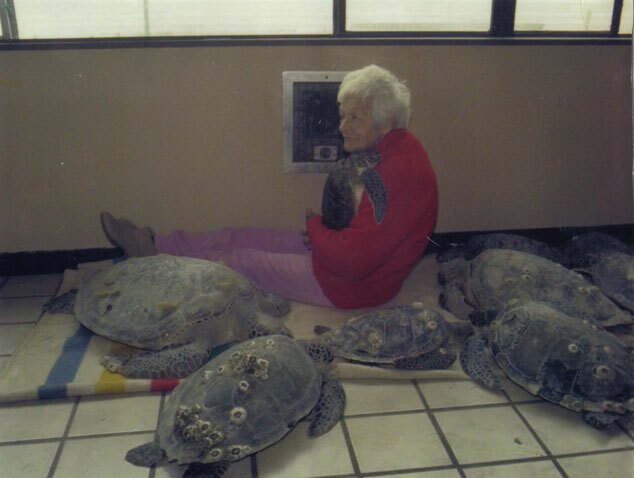 Ila Loetscher (The Turtle Lady of South Padre Island) moved to Texas after her husband died and devoted the remaining four decades of her life to the cause of sea turtle conservation. 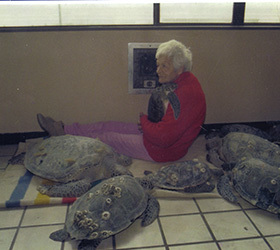 During the sixties, Ila spent her energies gathering Kemp's Ridley sea turtle eggs in Mexico and protecting them in South Padre Island until they hatched and went to sea. In the seventies she founded Sea Turtle, Inc., to educate the public and get adults and children involved in sea turtle conservation. She is largely responsible for the substantial comeback of the Kemp's Ridley. Residents of the Island vote for incorporation. Of the 158 votes cast, 128 were in favor of incorporation while 28 were against. Two ballots were not counted according to said election returns, because of their being illegible, and that therefore, a majority of the votes cast were in favor of incorporation. 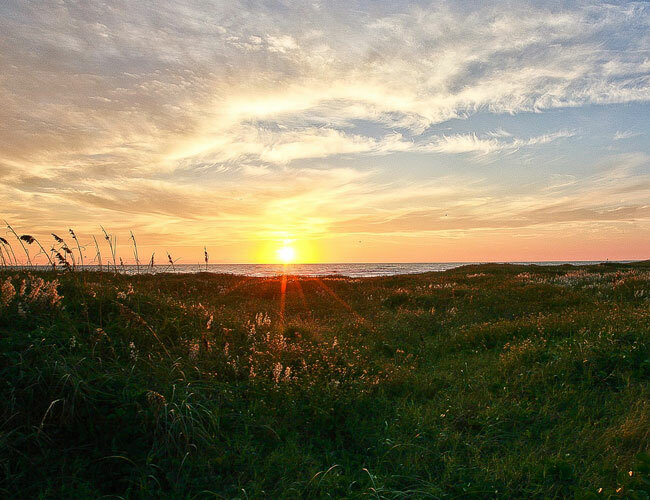 Thus the Town of South Padre Island was born. 1974 Second Causeway The new Queen Isabella Causeway, dedicated September 11, 1974, is 12,510 feet long (2.369 miles) and reaches a height of 85 feet. Its construction cost was just under $16 million. It is the longest causeway in Texas. A hurricane struck the lower Texas coast. 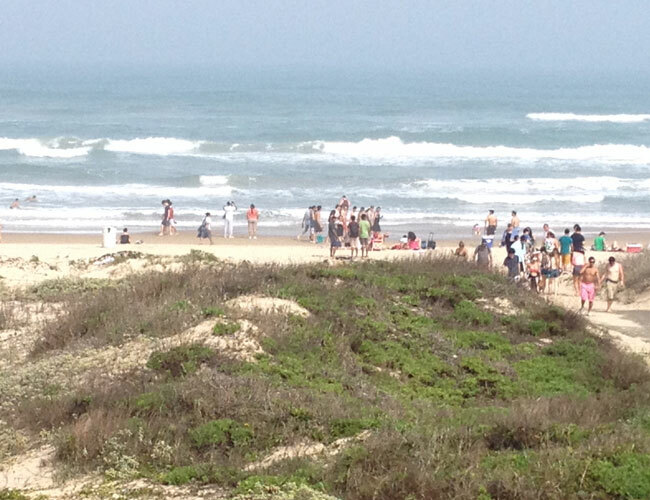 South Padre Island experienced a pressure of 28.50" and winds of 120 mph. 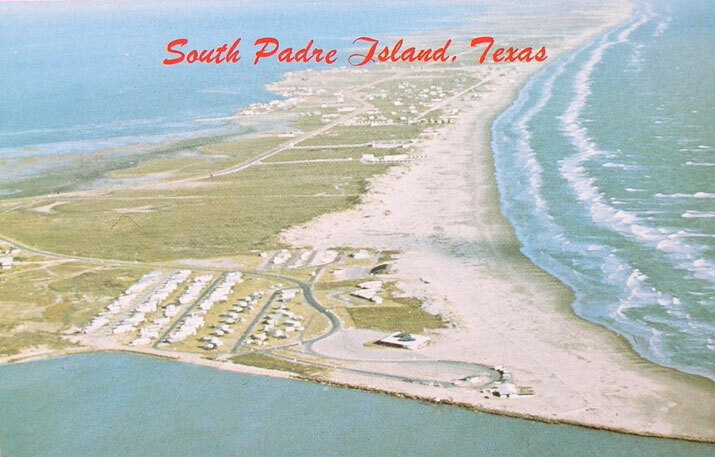 Padre Island was totally submerged during landfall. Winds of 55 mph howled through Brownsville as a hurricane made landfall between there and Corpus Christi. Heavy rain was accompanied with the storm. 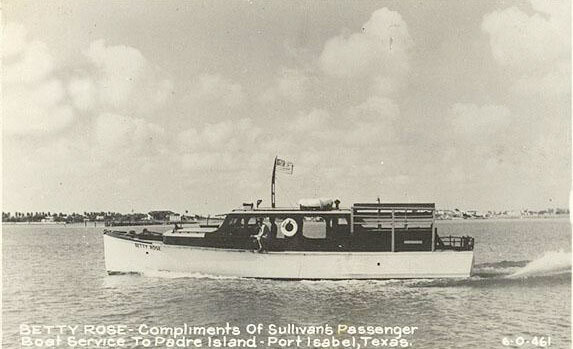 The steamship Nicaragua was wrecked 80 miles down Padre Island. Two of the ship's boilers can still be seen in the surf during low tide. 1921 September 5th, a tropical storm rapidly spun up in the Bay of Campeche. 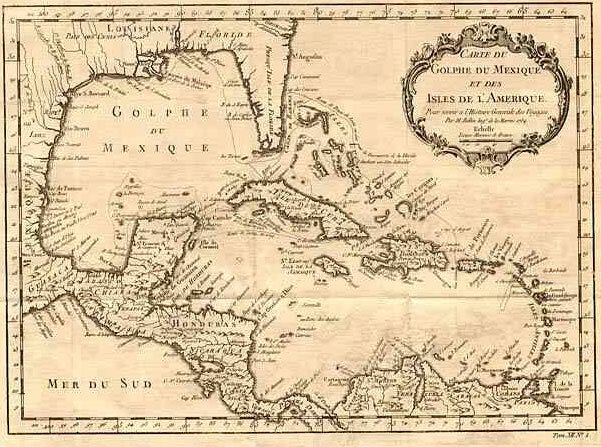 It progressed northwest into Mexico and crossed the Rio Grande. After passing inland into Texas on the 8th, it could barely be identified as a cyclone, except for its associated deluge which drifted northward through Texas. A 13' storm surge flooded areas near Brownsville, with high tides occurring along the entire Texas coast. 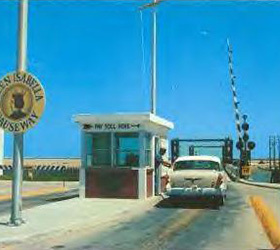 The Don Patricio causeway from Flour Bluff to Padre Island was destroyed. 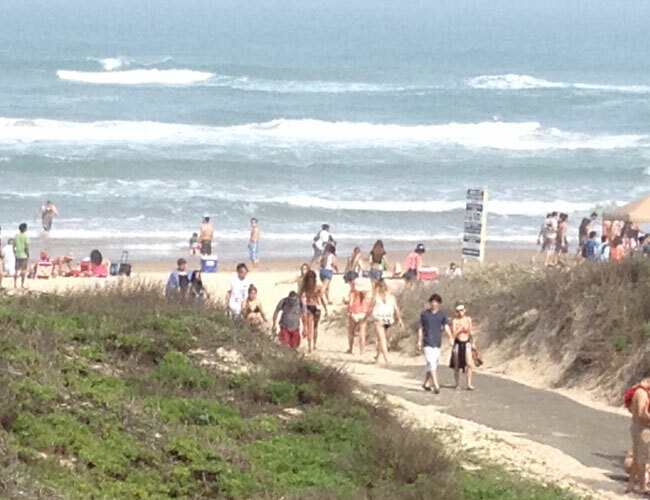 All dunes on South Padre Island were leveled. Over 40 cuts were made in that area, which was then abandoned until after World War II. This storm quickly developed off Brownsville. It made landfall within 24 hours of formation. Most residents did not know about it until it was upon them. Heavy rains near Langtry resulted in 27.10" of rain at Pandale. This caused the greatest rise on the Rio Grande since 1865. The river rose 30 to 60 feet at Eagle Pass and Laredo. An 86' wall of water rushed down the Pecos River; this washed out a bridge normally 50' above it. The International Bridge at Laredo was also washed out. Most of the death and destruction occurred in Mexico (Ellis 38). No list of Texas hurricanes would be complete without the mention of Carla, which made landfall near Port Lavaca. The trail of destruction extended south to Point Isabel, where 4-5 foot storm surges were seen. Port O'Connor was 75% wiped out. 1967 September 20: Hurricane Beulah made landfall between Brownsville, TX and the mouth of the Rio Grande about daybreak. A ship at anchor in Port Brownsville reported winds of 136 mph. 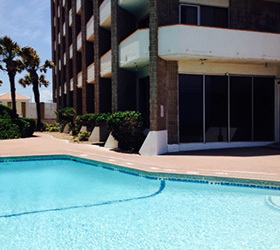 Beulah's strength was seen in the impact the storm's surge had along Padre Island. A total of 31 cuts or channels were created through the island between the southern tip of the Island to a point about 30 miles south of Corpus Christi. The storm surge was over 18 feet. Amelia suddenly developed 50 miles off the South Texas coast near Brownsville. Damage was minimal at landfall, but the storm revived west of San Antonio. By August 2nd, 25 people had died along the banks of the Guadelupe, Medina, and Sabinal Rivers. Hurricane Allen Island. Only two deaths were directly attributed to Allen. The strongest measured winds were gusts to 129 mph at Port Mansfield, Texas. 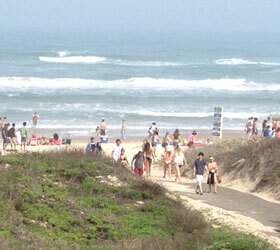 A storm surge up to 12 feet along Padre Island caused numerous barrier island cuts and washouts. Our section of the coast would be spared another direct hit until the landfall of Hurricane Dolly in July of 2008. Most of the damage from that storm was wind related. During the early morning hours of September 15, 2001, a string of barges struck and collapsed an 80 foot section of the Causeway. Nine people died and the Island was isolated from the mainland for just over 2 months. 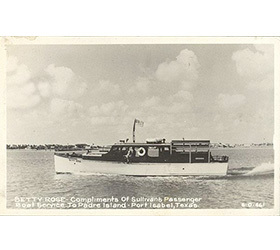 Local fishermen offered free taxi service to and from the mainland until ferries from Port Aransas and the upper Texas Coast are brought into play. Governor Rick Perry announced today that the Queen Isabella Causeway - the only link between South Padre Island and the Texas mainland - is expected to officially re-open before Thanksgiving, a month ahead of the December 23rd completion date called for in the original repair contract signed in September. November 21, 2003 Causeway renamed to honor those who died during that tragic night. The Queen Isabella Memorial Bridge will serve as a constant reminder of what good can come out of a tragedy when a community comes together for a common cause. Hurricanes are a fact of life on Padre Island but unlike earthquakes and tornados there is usually advance warning which leave plenty of time to prepare. Traditionally a named storm strikes within 10 miles of the town limits every 9-11 years.